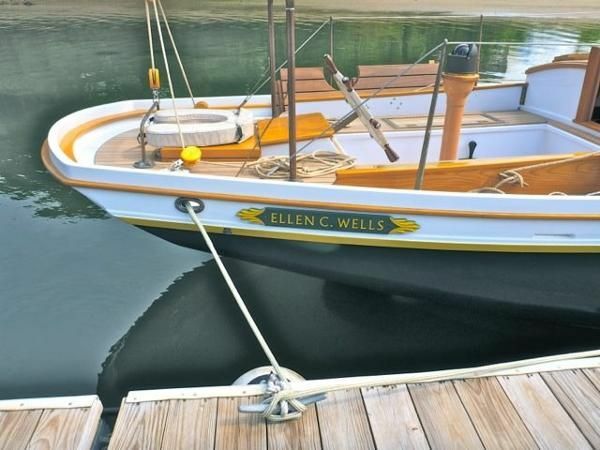 ELLEN C WELLS is a compact fishing schooner built of 1½″ mahogany strips over white oak. 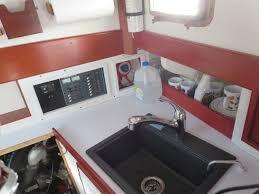 Split cabin with fir decks, fir spars, and white pine house sides with plywood and Dynel cabin tops. 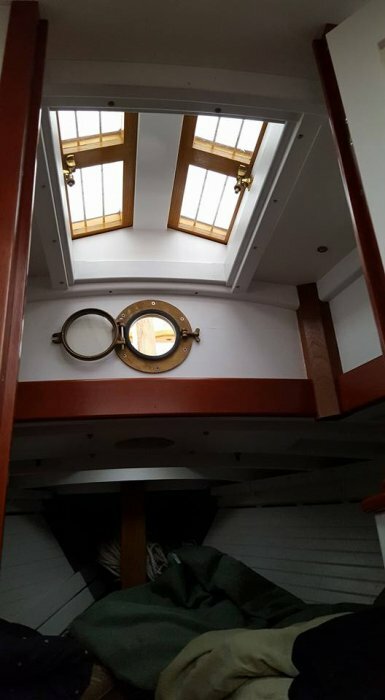 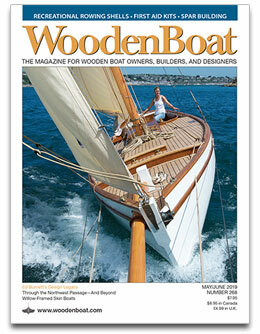 Interior is traditional Herreshoff-type of finish with white paneling and natural mahogany accents. 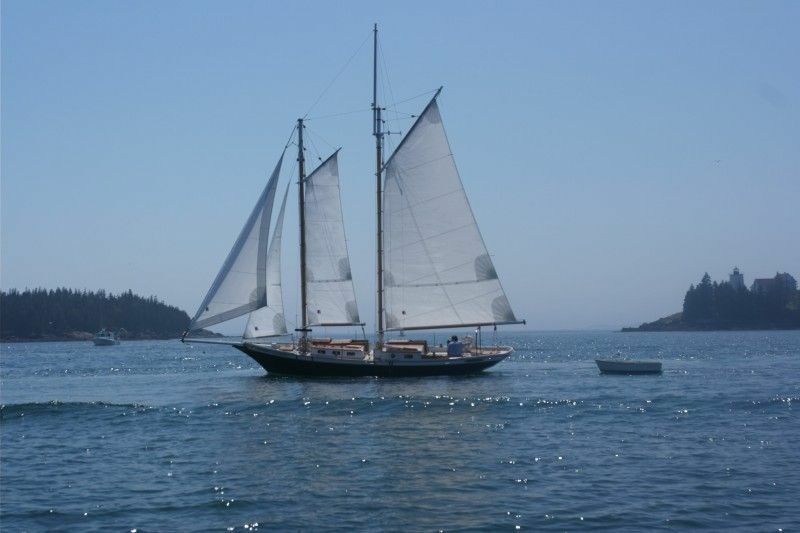 She is simply and stoutly built. 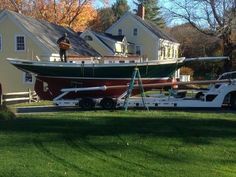 She was launched in 2015 by builder after 7 years of construction and sailed lightly before going to present owner, who sailed her from Kittery, Maine, to Jamestown, RI, in July of 2017.